Big Data technology has discarded traditional data modeling approaches as no longer applicable to distributed data processing. It is, however, largely recognized that Big Data impose novel challenges in data and infrastructure management. Indeed, multiple components and procedures must be coordinated to ensure a high level of data quality and accessibility for the application layers, e.g., data analytics and reporting. In this paper, the third of its kind co-authored by members of IFIP WG 2.6 on Data Semantics, we propose a review of the literature addressing these topics and discuss relevant challenges for future research. 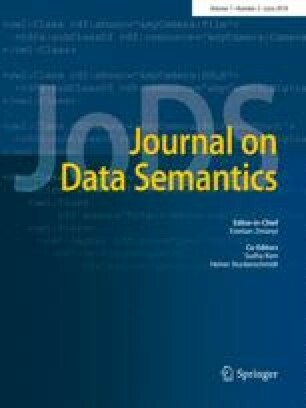 Based on our literature review, we argue that methods, principles, and perspectives developed by the Data Semantics community can significantly contribute to address Big Data challenges. This research was partially supported by the European Union’s Horizon 2020 research and innovation programme under the TOREADOR project, Grant Agreement No. 688797. The work of R. Wrembel is supported from the National Science Center Grant No. 2015/19/B/ST6/02637.